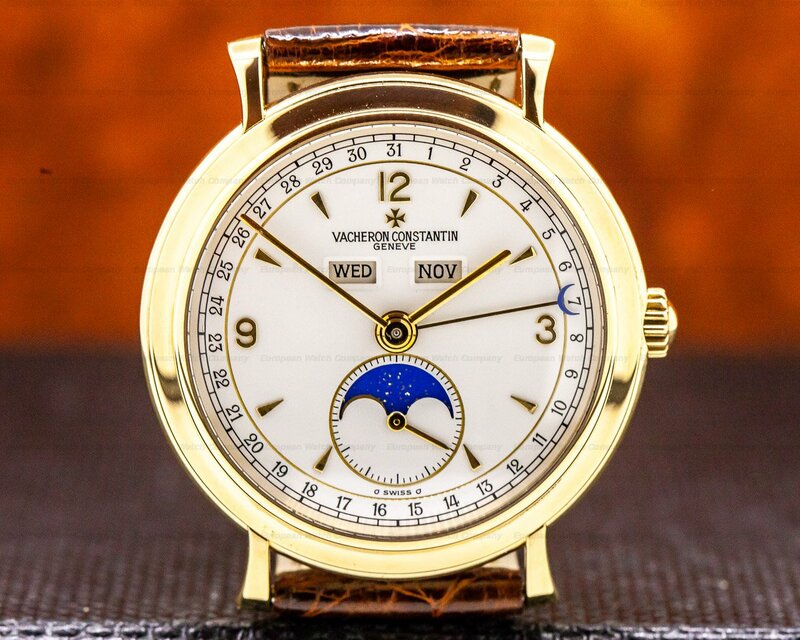 29355 Jaeger LeCoultre 140.1.87 Master Date 140187 140 1 87, 18k yellow gold on a strap with an 18k yellow gold deployant buckle, automatic JLC caliber movement, silver dial with applied yellow gold hour markers, pointer date around the perimiter, day, month, small seconds hand, sapphire crystal, water resistant, size: 37 mm, thickness: 10mm, Like New with Original Box and Papers; which are blank. 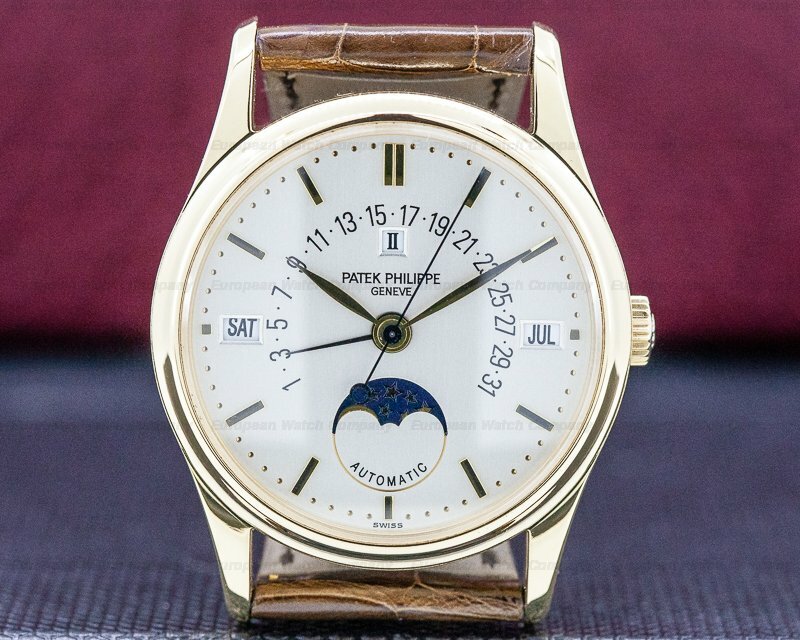 This is an 18k yellow gold Jaeger LeCoultre Master Triple Date 140.1.87. It has an alligator leather strap with a stainless steel double deployment clasp, and a scratch resistant sapphire crystal. 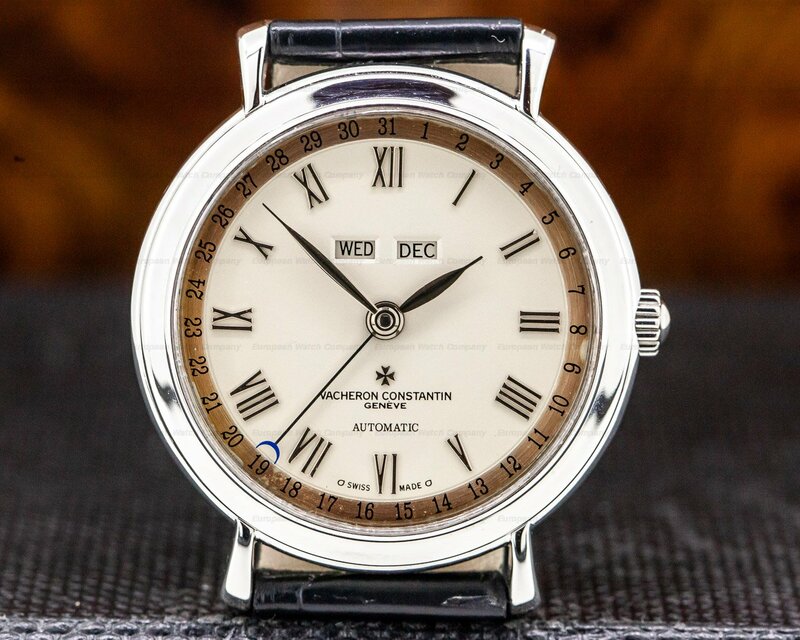 It includes a pull out winding crown, correctors for the day and date on the right-side case band at 2 and 4 o'clock, and there is a case back secured with four screws, and engraved with "JAEGERL-LE COULTURE – 5 ATM – MASTER," and a serial number. 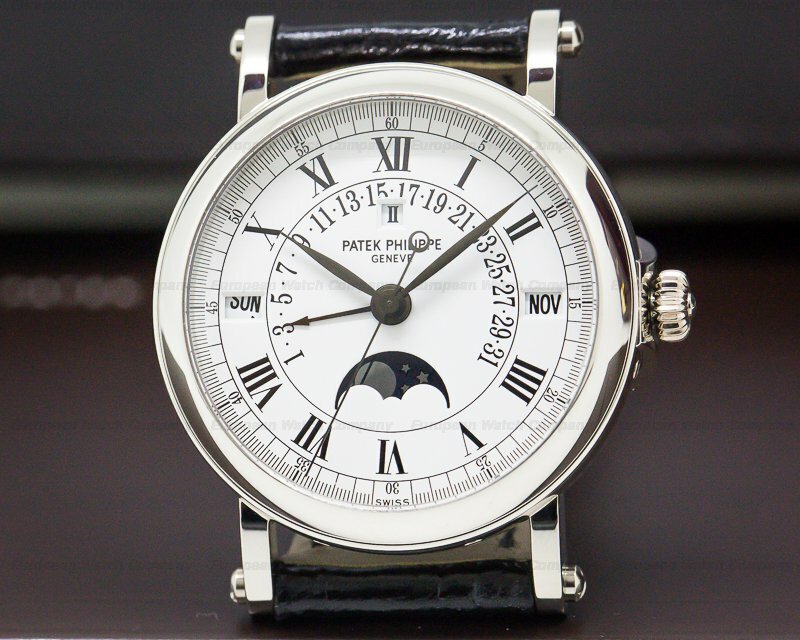 The calendar is in English, and the 37mm diameter solid two-body case, downturned lugs, and angled bezel are polished. 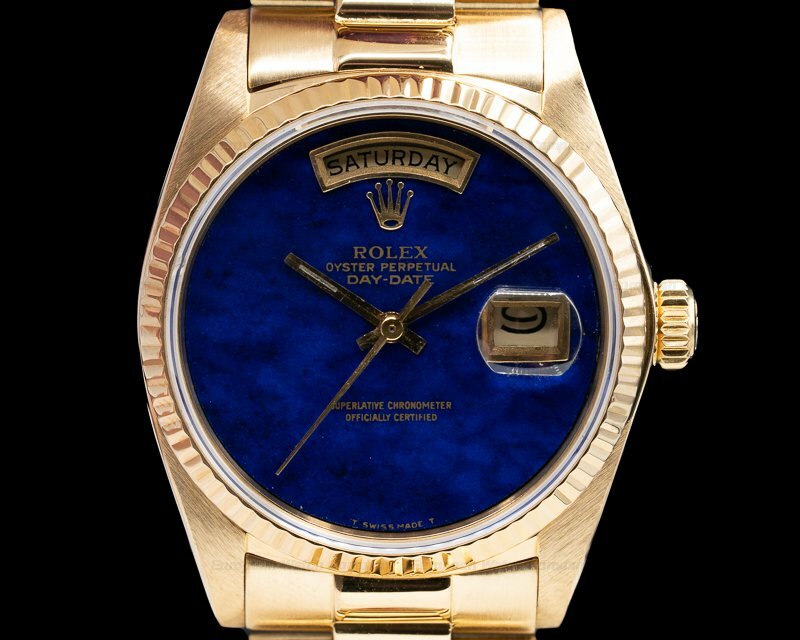 The dial is silver with applied gold Arabic numeral hour markers at 3, 9, and 12 o'clock, and faceted dart indexes. 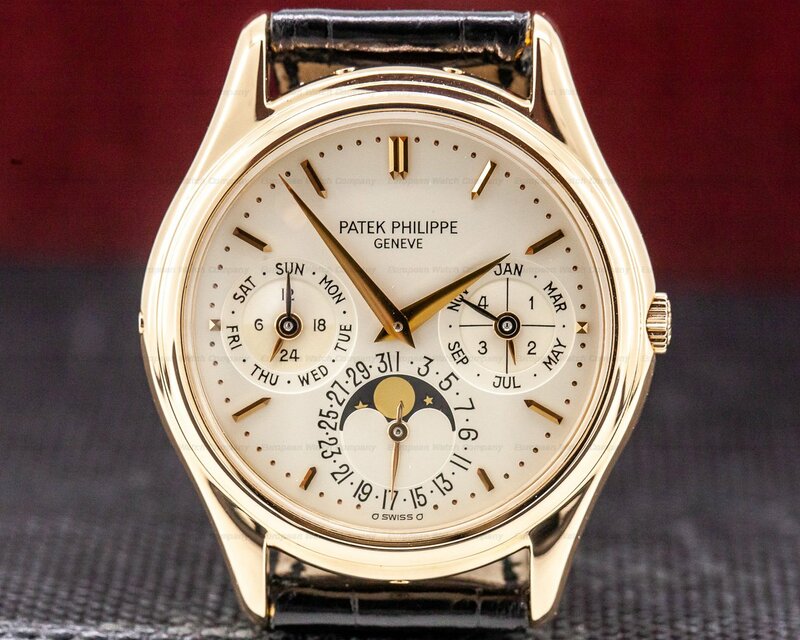 It has dauphine hands with luminous inserts, and luminous dots at the quarter hours. 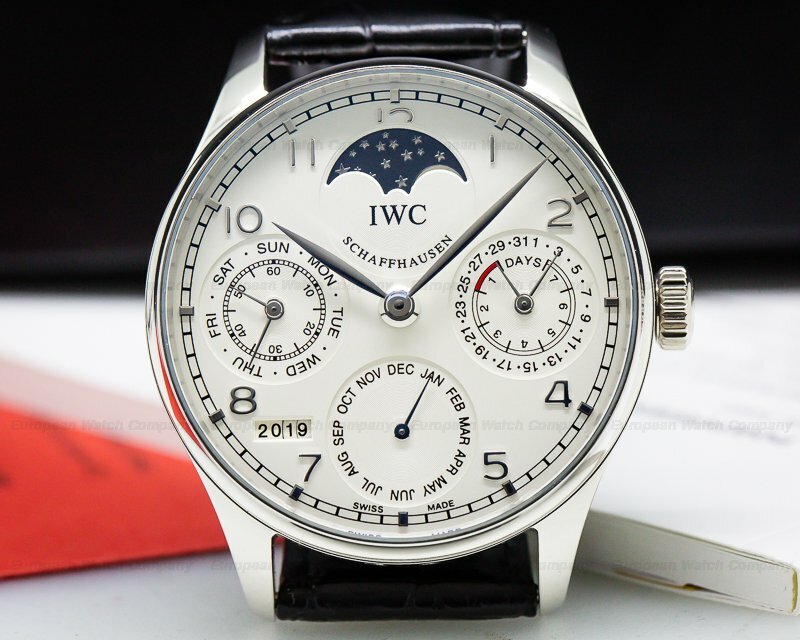 The date is indicated with a center steel hand that has a red crescent-shaped indicator on the tip that corresponds to the black Arabic numeral dates on the perimeter of the dial. There is a white recessed running small seconds subsidiary dial at the 6 o'clock position. 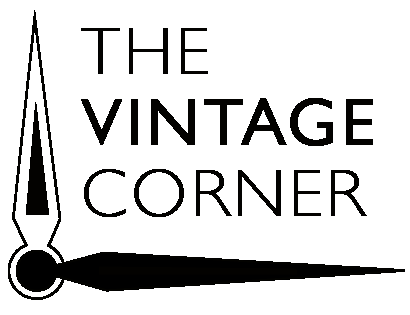 The day of the week and the month are displayed in two rectangular windows under the logo at 12 o’clock. It's water resistant to 50 meters/165 feet, and it has a power reserve of 45 hours at full wind. It has undergone the full 1000 hours of rigorous testing before it left the Jaeger LeCoultre factory. The 11mm thick case, dial, and movement are all signed. This Jaeger LeCoultre Master Triple Date 140.1.87 has a mechanical automatic self-winding Jaeger LeCoultre caliber 891/448 movement that's rhodium-plated, with fausses cotes embellishment, and it's fitted with a pin regulation system. It's constructed with 36 jewels, 275 components, and a shock absorber mechanism. 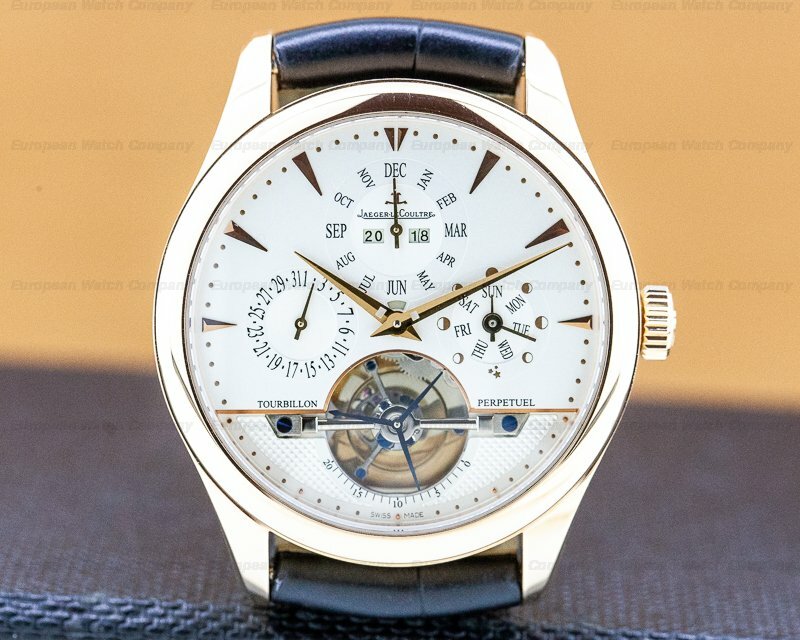 It includes a straight-line lever escapement, a monometallic balance that's adjusted to 6 positions, and a self-compensating flat balance spring. 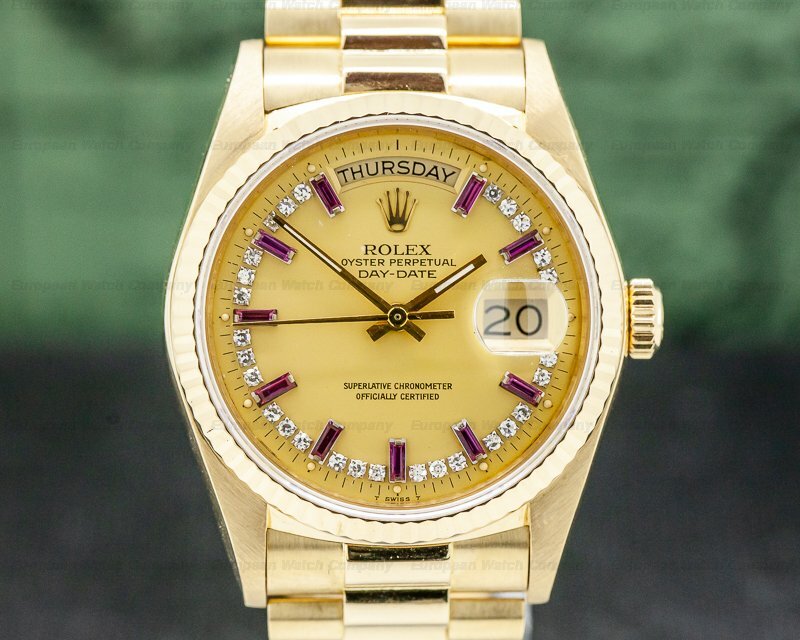 It has a 22K gold rotor segment. 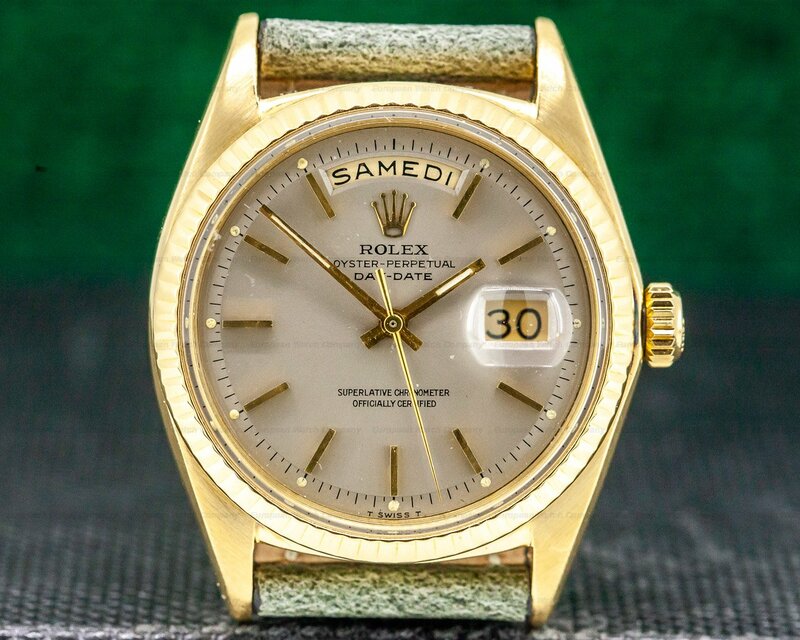 The rotor is made from stainless steel with a 22 carat yellow gold segment mounted to its outer edge to give it the most efficient winding weight. The movement oscillates at a frequency of 28,800 vph (4 Hz). The Jaeger LeCoultre Master Triple Date 140.1.87 was introduced in 2000.